Every year the average age of the 249 million operating vehicles in the U.S. is growing older. With over $35 billion in maintenance and repairs per year, now is the time to take advantage of the great opportunity that Honest-1 is offering. Our philosophy is Honesty, Value and Support. We provide an unwavering commitment to our customers as well as the environment we all live in. The Honest-1 brand is developed through superior training, support, and a vast array of franchise offerings including Region Developer/Unit Owners. We are the country's most trusted family of automotive maintenance and repair centers. It is our dedication to our customers and franchisees that has made us the most powerful automotive franchise in the industry. We provide multiple franchise programs to fit most investment levels and situations. Strong Six-Figure Income Potential. This program allows a developer to obtain a larger territory with the intent of selling and developing future Honest-1 franchises. A Region Developer will pay a franchise fee for the right to own the area as well as develop and service a specific number of Centers. In return the Developer receives a percentage of the initial franchise fees and ongoing royalties. We want the RD to focus 100% on selling and opening unit franchises so we do not require the RD's to open a unit. Each RD has a development timetable within which to sell unit franchises in their exclusive territory. New Franchisees: Little or no industry knowledge? No problem. We provide and extensive and ongoing training program for new and existing businesses. We will also work with real estate developers and have you up and running in a new "build-to-suit" center. Current Owners: For current automotive repair center owners we offer a simple conversion program that is straight forward. This includes some great financial incentives. Region Developer: A strong sales ability sales and/or marketing background with management experience is needed. The developer should be an extrovert and networker that is money motivated. They should be good at multi-tasking and have the ability to coach owners. Unit Owners: An automotive background is helpful but not required. Solid business acumen is required with marketing aptitude as well as the ability to motivate a staff and supervise day to day operations. 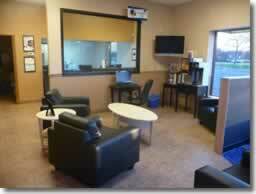 The owner will spend 50% of their time in the center, 50% networking, marketing and developing fleet accounts. 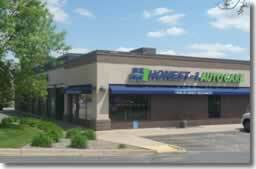 Click on Request Information for FREE info on how to open a Honest-1 Auto Care franchise today! Please Note: This Honest-1 Auto Care franchise opportunity and other franchise business opportunities, businesses and franchises for sale on this web site are not to be considered as an "offering", "franchise offering", suggestion or recommendation by Franchise Leader™. This advertisement depends entirely on the truthfulness of the information provided by our advertisers which includes, but is not limited to, franchisers, franchise brokers, franchise consultants and business brokers. Franchise Leader™ recommends that you consult a lawyer, financial consultant, accountant or professional advisor before buying a franchise or business opportunity or any type of business. By using this form or any part of our website, you have agreed to all terms and conditions of Franchise Leader™. Please review our Terms & Conditions for more information.